What’s good for Wall Street is good for the Jews, not America. Used to be Jews would rage against an arms deal with Saudi Arabia. But now that Israel and the Saudis have a “common enemy”—Iran—the Jews applaud Trump signing his $110 billion dollar deal with Riyadh. Jewish Wall Street’s scheme is “knitting together” Saudi Arabia with Israel. Jewmerica and Saudi Arabia have done nothing to stop ISIS, just the opposite. It’s about the Axis of Evil—Israel, America, and Saudi Arabia—fighting Iran via shared intelligence and now more US weapons. …I mean, the banksters have been all over Saudi Arabia long before they sent Trump. They’ve been courting Aramco to go “public” on the New York Stock Exchange, meaning big bucks for Jewish pockets. And now with the arms sale—where Lockheed Martin, McDonald Douglas, and Raytheon will gratify investors, Jewish Wall Street which underwrites their stocks will have a Bar Mitzvah catered with the lives of Yemenis and Syrians. “It’s going to create jobs,” says the commander in chief. I wonder if the deal includes Saudi Arabia building mosques in Minnesota, and with those mosques sending their Wahhabi preachers. That’s worth a sword dance with the Saudis. And the relatively few “jobs” it will create—bombers for the Sauds—will be bathed in the blood of Yemenite children dying at the rate of one every ten minutes due to the Saudi-driven civil war and subsequent humanitarian catastrophe. Everyone knows that Saudi Arabia is the biggest sponsor of terrorism, supporting al-Qaeda in Yemen, backing ISIS in Syria, and spreading Wahhabi ‘radical Islam’ throughout Europe and Asia. Don’t you know that Germany’s been moaning that mosques in Munich are being ‘radicalized’ through Saudi missionary propaganda? Yet Tillerson’s rant against Iran rings truer against the Saudis. Pin the tail on the donkey, Saudi Arabia, NOT Iran. But around the collar goes a radical Islamic medal on Mister Trump. The same medal he accused Obama of “bowing” to the Saudis when getting it. The agenda: Prevent the Houthis in Yemen from aligning with shia Iran, and stop Assad, yoked with Iran, from blocking a Greater Israel. And what few jobs the arms deal brings to America will be outweighed by more wars for the Jews. Patreon is turning out to be a HUGE failure. Everyone was clamoring for me to get it last month. But since then, only a few are pledging, a dollar here, five dollars there, but mostly dollar pledges, what little there is. This past week, I got ONLY three pledges, two for $1 and one for $5. What a LOUSY way to make a living! What has happened is that the MANY monthly-recurring donations that came in automatically via PayPal is OVER. And, quite frankly, I am in debt. Due to the PayPal ban and low numbers of donations, I just had to borrow money from a credit card offer to barely stay online. PLEASE CONSIDER floating me a loan for $5,000 or $10,000 and I will arrange a 12 month repayment with a notarized IOU. Summit County CO: May 15-19/HUGE Success! PS - Just came across the Video someone put together of me in Times Square! I’m sad to hear that Patreon has turned out to be a colossal failure, Br. Nat, and that’s a real shame. Why haven’t all those who clamored for it not put their money in it? I myself have never used PayPal. Any donations I sent you I sent through Click and Pledge, and I’ll continue to do so as long as I’m able. As I’m a senior citizen on a limited fixed income, I’m unable to lend $5,000-$10,000 to you — I’ll have to leave that to the wealthier donors. They’re the ones who should be doing this. They read your columns and watch your videos; yet, they don’t bother to donate even a dollar to your cause. I continue to pray that you’ll be able to continue the Lord’s work, both online and with your visits to different cities nationwide to preach the Gospels to the crowds. All I can say is that we’re certainly living in interesting times. God bless you now and forever. Have received your latest video via Arthur Topham from Canada and I must say the thing is as sharp as a razor blade. I also liked your comment some time ago that the Mossad has run out of work since the son in law sits at the source. I think it must be said that you were one of the first to fully realize that DT is a lame wall street duck, but considering the viciousness of the attacks on him this was by no means obvious. How do you see the fractures between East Coasters and the homeland as noted by the people from Uxbridge and latterly picked-up by Mike (Tomato) King? The Cold War narrative was “scripted” by the Jewlywood Branch of the Jewish Central Banking Cartel, just like the Crimes Syndicate that poses as a religion scripted World Wars I and II (and all wars for the past 500 years, after gaining control of HQ Britain). The Money Cabal out-strategized the greedy duped Shabez Goyim Judeomasons in the US Military and Police a long time ago. Jewish Central Bankers do not start wars until they control ALL sides. Eustace Mullins; James Perloff; Texe Marrs; Charles Giuliani; Christopher jon Bjerknes; Darryl Bradford Smith; Michael Collins Piper, Renee Pittman. I have joined Brother Nathanael’s Patreon site to make my donations. All profits go to the Brother Nathanael Foundation via Patreon. Kushner reminds me of Bernard Baruch following the Drunken Churchill every step of the way. I don”t like whats going on with Trump. I don’t like the Smiling Clown from Goldman Sachs hanging out with Trump. And I don”t like it that Trump lately, or even VP Pence, has not been attacking the Media on a steady basis like they are attacking him. Trump better get the Jews to erase our National Debt, too. If ever a video proved that Trump was a Jew puppet, this is the one. Until I had watched it, I hadn’t been quite sure of why Trumpstein had decided that Saudi Arabia ought to be the destination for his first trip abroad as president? But now we know : the Jews told him to go! And as a good Goyboy, the Donald gladly and without questioning obeyed his beloved masters. I still send donations the “old school” way. 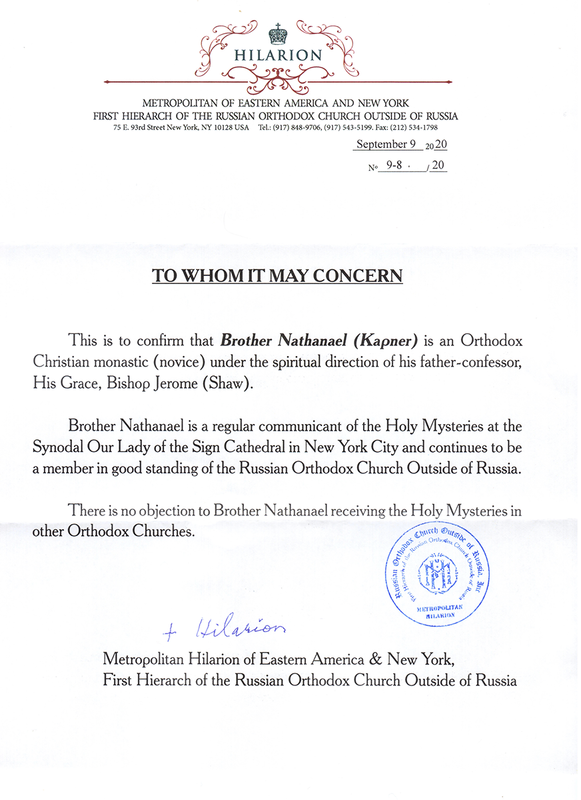 I send my donations to Brother Nathanael via the postal system. I also love my Brother Nathanael coffee mug. Keep telling it like it is Brother! C’mon folks, send this modern day prophet some money!!! Crypto Master Builders all on the same page? Pretense will commence-the requisite false flag. A Greater Israhell-Haman’s Iran to take the fall? Like before ColdWar ZOG store; soon One Faith for All. Thanks for your latest video. Spot on as always. Is there any truth to the story that the Saudis are descendants of a Jew, who several decades before the son “Saud” decided to pretend to be a cross between a Jew and a Muslim, and his family ended up taking over all of Arabia? So they’re now all a strange branch of Jews? That would certainly explain the friendship (and feigned rivalry) with Israel. What is it with Iran that they are an “enemy” of Israel? Iran was one of just a few countries WITHOUT a central banking system controlled by the Rothschild/Illuminati/Zionist Jews. Are they still free of that banking system? That alone would make them enemies of the Jews. Saudi Beheadia is another hellhole with Satanic minions running afoot. Just a tip that POTUS’ Proposed Budget for 2018 will be officially released tomorrow (though it has already been leaked), & that it plans to slash SSDI (Disability), & SSI (Supplemental Security). The semantics game being played by MSM & Mick Mulvaney/OMB is that slashing SSDI is not breaking Trump’s promise to “not touch Social Security (Retirement)” because SSDI is NOT “REAL Social Security,” even though all the taxes paid during everyone’s working careers includes not only SS-Retirement but also SSDI (Disability Insurance). –The word from an assortment of other news articles is that Senators are not likely to agree to the Proposed Budget & may want to just start over from scratch. –In the video interview, the host & guest joked near the end that “they” sent Trump on a Middle East trip at the same time as the Proposed Budget would be released to keep him from slipping up & possibly “telling the truth” about it. I write back: The REAL shame is how FEW of the tens of thousands of viewers (120,000 subscribers on YouTube) and readers are donating to me, especially now that PayPISS has banned me. I’ve sent countless appeals, continual requests, to help me get out of this SERIOUS financial situation I’m now in. Patreon is NOT what people touted it to be, at least for me. It is very SLOW going with a $1 donation here, and once in a while, a $5 donation there. Patreon is probably good for JEW-LOVING Baptists, but for someone like me who EXPOSES the Jews, it’s not so hot. (This past week, with TWO Videos posted, I got ONLY two pledges, one for $1 and one for $5. Then I got TWO edits: One reducing their $5 pledge to a $1, and the other reducing their $25 pledge to $5. ALSO: When I had PayPal I was teetering on the edge of financial woes. But now that it’s gone (with the many who sent recurring monthly donations, with most of them not renewing it on my Click And Pledge venue) I’m in a struggle for my financial life. SO MUCH SO that I had to take a Credit Card loan offer to BARELY stay online. WHO ELSE SHOWS the Jew angle, but Yours Truly? Who ELSE shows the Wall Street angle on Trump’s Jew-inspired, war-mongering trip to Saudi Arabia? No one DARES to even say the word: “JEW” but Yours Truly. And for this, I go into DEEP debt. I know very little about advertisements on YouTube videos, but it would seem that it possibly would be very profitable for you if you allowed some ads on your many YouTube videos that all seem to have very large viewer audiences. I believe that there are many YouTube video creators who are very happy with the income that they receive from the ads that they allow on their YouTube videos. Where have you been? In outer space? What a jaw-dropping treat to see Trump, sterile war mule that he is for the Hildebeast Clinton, pushing forward all of her Judeo-neo-liberal-con foreign policies after all. The U.S. $350 Billion arms-sale to Saudis cements a United States of Israel-Wahabi/Salifist Jihadist alliance for the next ten years. God bless you for another terrific Video exposing Likudnik Mossad Warlord Kushner’s role behind the scenes the Wall Street strategy behind their Trumpean Puppet Show. You find angles and insights into Jewish machinations which no one else exposes in depth, especially before the fact, and you’ve clearly nailed the Wall Street manipulations behind the scenes. “The reason for this is the White House says it wants to knit together the three great religions of the world; Islam in Saudi Arabia, Judaism in Israel, and Christianity in the Vatican. Of course, the “people in the region” are foremost Israel, and secondarily, Saudi Arabia and the GCC in its orbit against Iran, while Israel supports ISIS, and members of the Gulf States fund them. I listened to most of Trump’s cringe worthy speech at the Arab Islamic American Summit. As Ron Paul observed today, Trump issued a virtual declaration of war against Iran! Real Jew News is a national treasure worth preserving and supporting your labors. I’m always flabbergasted at the low level of financial support you receive for your unique ability to find facts, insights, and angles which no one else delivers in a high quality way. No one should have to struggle through month after month like you do, having to resort to credit cards to keep things afloat. I’m in the same position as Eileen K, a senior citizen on very limited fixed income, but every month I make my donation, in large part from money that I don’t spend on cable TV and other things that I economize on or do without. +BN, his Street Evangelism, and his RJN and Videos are worth the world and then some simply for the sake of my mental sanity and spiritual sobriety. The world is getting crazier and more evil everyday, and the most dangerous thing in the world is to get used to it. God bless you, dear brother in Christ. You are an inspiration to me for your dogged determination and perseverance to keep going no matter the odds. Yep - Trump wore The Yid lid - what a shame!!! Hopefully Saudi Arabia and The UAE will seriously consider joining BRICS after Trump’s visit hmmmm… - ShaaaaaBAM! You wrote: “I’m always flabbergasted at the low level of financial support you receive for your unique ability to find facts, insights, and angles which no one else delivers in a high quality way. I write back: It’s all very depressing. I thought by now that my financial struggles would be over. Sadly, it’s worse than ever due to PayPiss banning me and the ever declining numbers of donations. Patreon has been a COLOSSAL failure and some with their $1 donations may think it is a replacement for PayPal. It is NOT. It is to augment my donations, not a substitute. Quite frankly, I wouldn’t give $1 to a bum on the street. What would it pay for? Half a Hershey bar? I consider it an insult to have $1 donated to me. QUITE FRANKLY, I would like to quit. I think I’m at the lowest ebb of discouragement than I’ve been my entire life. I would like nothing more than to spend a year in total quiet, prayer, and reading the Bible, and then returning to a monastery, totally preparing myself for the monastic rhythm and life style. I see this as a life-and-death struggle. JEWS have DESTROYED this country and I am the ONLY one who knows their game and how they operate. Am I so stupid not to know that Gary Cohn (of Goldman Sachs) has not already invested bucks through the central banks’ JEW investment firms into Iran? They have, BUT at the same time, work the PRO-ISRAEL trajectory of minimizing the country’s ability to stop a Greater Israel. JEWS ALWAYS work both sides of all conflicts. They are MISERABLE deceivers. I understand this. The Saker does not. Paul Craig Roberts doesn’t have a clue. Only a JEW (I’m still a racial Jew and was raised in Judaism) KNOWS THIS. To KEEP the REAL truth going. Noone else is really doing it. I’m not getting sufficient funding to do WHAT I DO BETTER THAN ANYONE and thus borrowing money from Credit Card offers is the ONLY way I can (barely) stay online due to the PayPISS ban and the subsequent financial crisis that has ensued. This chump president goes to Saudi Beheadia and dances around like a fool with these psychopaths? That’s what my f-ing tax dollars are paying for? His daughter and son-in-Jew aren’t even official members that were approved in this so-called cabinet, and they parade around the world on trips? That’s what my f-ing tax dollars are paying for? Serious? What the f people? Aren’t you fed up and sick of seeing this crap? I am. Voting for these fools does nothing. Have you yet to figure that out? Here are two YouTube video creators who don’t ask for donations, but instead they give information in their videos about products that they personally and highly recommend. Alex Jones has his own online store where he sells many different types of product items which he recommends and talks a little about in all of his many videos, and also he sells his books and special videos. Dr. William Mount mentions in his videos different types of items that he recommends, and if you supply his code that he gives then you receive a discount if you make a purchase from the website or phone number that he supplies. Of course Dr. Mount must also receive a small commission. If you are interested in this type of additional income, then possibly some of your viewers may recommend product items for you to consider promoting. I’m NOT in the advertising business. Those who appreciate what I post support my work with donations. I’m not a Madison Avenue peddler. MCADAMS: 6:03 But this deal you mentioned, this is so repulsive on so many fronts. I was reading earlier today, literally as soon as Trump was elected, as soon as the inauguration happened, a Saudi delegation flew in, met with Jared Kushner, the son-in-law of the President, and they started negotiating a deal right away. I mean, he probably hadn’t been president for 5 minutes before they were landing, started negotiating this big deal. 6:28 And I know you’ve always been critical of US arms sales, full stop. You think the American taxpayer pays for the R&D. These things are to protect America. We shouldn’t be selling them anywhere. RON PAUL: 6:41 But they sell it to the public politically also that jobs, you know they’re military Keynesian. Jobs, they bill them in every state that participates in this, so its an economic thing, but they never ask the question, you know, if we didn’t spend it on the military, and we weren’t dealing with that, what are we losing on? What could have happened with these funds? 7:05 But I’m sure there’s always a cost to us, and if the emphasis goes to building weapons, and we’re the biggest weapons dealer in the world, probably in the history of the world, it hardly is a way to get economic growth back in. That’s where our problem is, and this doesn’t deal with it. 7:26 This is another malinvestment distraction, emphasis on something else. And quite frankly with him saying the nice things about we don’t want to deal with your civil liberty problems at home. 7:39 But he layed a lot of emphasis on advice, strong advice, on how to deal with the terrorists, to deal with them. And you know, you get rid of them. It was like him giving them their marching orders. 7:55 But what I got from this was that it was a virtual declaration of war. Now that seems to be pretty extreme, but that was something I was convinced of in 1998, there was the Iraqi Liberation Act, and I said this stuff is going to lead to war. And it took a few years, and it ended up in war. 8:12 Now this, this is ongoing. This isn’t the beginning. But I tell you what, it is a declaration, he was very emphatic, when he started talking about Iran. I think that’s the biggest target right now, not only the Shia, but the Iranians in particular, and the Syrians in particular. But we’ll do this, this, and this, and this is not a peace mission. 8:38 And the one thing that was never spoken, which you just can’t go in and say we’re going to declare war against the Shia, against the Iranians, against the Syrians, without considering, you know, that there’s another item involved there, another country. It’s called Russia. 8:56 Are they just going to roll over and say, “It looks bad for Assad. I guess we’re going to go home, give them our naval base, and the Americans, of course, would do the same thing, if we–” that’s what they wanted to do when we had our, when the Soviets had their troops in Cuba. “Oh yeah, we’d just better turn over Guantanamo.” You know it’s not going to happen. It just puts them up against the wall. 9:17 I think this is very serious. I think in many ways it was a virtual declaration of war, and he’s bragging that the Saudis are our greatest allies, and we don’t have to worry about civil liberties anymore. Not that we should have been involved, I don’t argue that case, but it is the militarism that exists today, and increasing with this kind of a trip. MCADAMS: 9:40 I want to flesh this out a little a little bit, if you don’t mind, this Iran thing is very important. In a couple of quotes from the speech, the first one, ok, he’s standing in Saudi Arabia, a country if you proselytize, if you try to convert people to Christianity, you get your head cut off. 9:54 And here’s what [Trump] said: “For many centuries the Middle East has been home to Christians, Muslims and Jews living side by side. He’s in the one country where that cannot happen! “Starving terrorists of their territory, their funding, and the false allure of their craven ideology, will be the basis for defeating them. 10:38 Everything he said there could be used to describe Saudi Arabia, what it’s done. They’re the ones that export terrorism, they export Wahabism, the radical ideology, they build radicalized mosques everywhere. 11:07 But what is Iran doing in Syria? Fighting ISIS. That is literally what they’re doing, fighting ISIS and al Qaeda, two radical Sunni groups that are in their targets. So is he not informed? Is he uninformed? Is he trying to uninform Americans or disinform Americans? What is the disconnect? RON PAUL: And it’s in Iran’s territory, in their neighborhood so they have a lot more in stake than someone six or seven thousand miles away. So it is tragic when you think about blaming Iran for Syria, I think back to our previous administration. You know, in 2011, when our position was ‘Assad has to go’. And I think Trump still believes that. You know, with this [speech], there’s no doubt about that. MCADAMS: Well, he believes this false flag, I think. The false flag chemical attack. RON PAUL: Or it was a convenient thing to realize he had to go along. There’s no way to figure that out because he’s capable of flipflopping, and why people flip flop is hard to say. The Sauds and the Turkish top actors (Erdogan and Gülen) are all crypto Jewish. ISIS has been created by Jews, just like so many other terror organisations. The l-ciferian devil and the snake are very old, but their origin is still nothing compared with the eternal truth, and the universal God of love and sympathy. The history of mankind is much longer than the 12000 years of inter-glacial warm weather. Somehow, mankind has to deal with its obscured past, and perhaps there might even be sympathy for the devil, once we know the full truth about everything (knowledge = understanding = love). Trump is just another puppet, however, Trump’s temperament makes him difficult to control, and even his daughter is manipulated to control the Donald. The Zionists want total obedience, and Donald might resist, I wonder when this guy is going to snap under the pressure. Trump has already “snapped” under the pressure. Can’t you tell? He walks around and talks likes he’s been drugged. He’s lost his edge, his vehemence against globalism and policing the world. Though he probably never believed it (the campaign script was apparently written by Bannon) yet his campaign “vehemence” is gone. Did you hear him say “jobs, jobs, jobs” to the Wahhabist? He said it half-heartedly since reportedly many of these “jobs” will be for Saudis building the US weapons under the agreement having full US know-how as their newly “dealed” possession. I too send +BN money the old fashioned way via USPS! It’s interesting - when there is no news, no one to tear into it seems the evil Jews (who control the news media) create news, whether it be a bombing, disease, or false flag! Peace makes them VERY nervous and uncomfortable to the point where they feel like they’re not the ones calling the shots/in charge! Fighting/chaos/drama they understand — peace/love/brotherhood not so much — and they NEVER will till they humble themselves, get baptized in Jesus CHRIST-ian and accept The Trinity in his Holy name! Hang in there +BN. I will be sending you a check this week. P.S. I too LOVE my +BN T-shirt and wear it out. Seems to protect me in a strange but comforting way+! Yeah, but ask any Republican or Democrat. It’s okay when our guy does it. Jewmericans are a hopeless lot. Now it become clearer and clearer. The ‘Abrahamic religions’ with the Judeo-Christian center in Jerusalem fighting apocalyptic “Gog-Magog” (Iran and Russia)! Reference the de-monetizing of YouTube videos–today I tried to download a You-Tube app upgrade on my Android phone. What exactly has this got to do with improving the Jew-tube service? I shouldn’t write comments here, as I cannot contribute financially. Yes, I know we all have excuses, and some possibly won’t donate through not having the decency even though they could. However, my own circumstances would probably be thrown out a film producer’s office, as too ridiculous. What is not “scripted” though, is my admiration for not only genuine donors, but Brother Nathanael’s continued Christ-centred, integrity based work. If ever things change for me, (quick enough to count), all I can promise, as Jesus is my witness, is that I will endeavour to contribute to more than make up for this. Christians, particularly Caucasians, are targeted in line with age-old hatreds, is there nothing that “Jews For Jesus” could help with? I know it’s tough at the moment and it will probably be always tough. I’m here backing you up the best way I can. Well well well…Trump has been completely exposed now. Look who is holding a glowing orb while lights flash around the room from it. What Satanic symbolism is that? Are we going to see it on the new cover of the Economist? Time for Russia to get them all together, Iran, China, Syria, Brazil, India, Turkey, Hungry, and others, because it’s going to take that side of the Globe to stop this madness! Who holds an Orb? Macabeth and the Three Witches. Trump, Something Wicked This Way Comes. Who is Trump? What happens at the White House? Trump says God Bless? Exactly who is he blessing? Of course the Pope also says God Bless (rolls eyes). Nothing too secretive about Sauron Dark Lord of Mordor in his appearance as Donald abu Ivanka al Saudi Ameriki putting his hands all over a world globe. In the Silmarillion, as part of a plan to seduce the Elves into his service, Sauron assumed a beautiful appearance as Annatar, “Lord of Gifts,” befriended the Elven-smiths of Eregion and counselled them in arts and magic. Here, then, we have Donald abu Ivanka al Saudi Ameriki, Lord of Gifts. Trump was attending the opening of Saudi Arabia’s Global Center for Combating Extremist Ideology, a new organization dedicated to monitoring propaganda from ISIS, al-Qaeda, and similar groups. The opening was attended by more than 50 Muslim heads of state from around the world, some of whom can be seen in the background of the photo. The Saudi royal family is well known for its opulent tastes and love of theatrics: They literally projected Trump’s face on the hotel he stayed at in Riyadh. The glowing “orb” is a highly translucent globe of the earth, and symbolizing the opening of the Global Center for Combating Extremist Ideology, which is ironic, considering where this “extremist ideology” originates from, and the center will probably be used mostly by the Saudi police state to further persecute Saudi Arabian Shi’ites, an already extremely oppressed minority in the kingdom. Trump’s hand is on North America, in most of the published stills making the ronds, Australia can be seen. In some angles in the video, you can see South America. The lighting is especially weird because not only was the room lighting dimmed to make the globe stand out, and light was emitted from dozens and dozens of computer screens as well as the spookiness from the underlighting coming from highly lit translucent floor. Having gone all-in on a Hillary Clinton victory ahead of the elections, Saudi Arabia has quickly pivoted in its “appreciation” of the Trump administration, and having realized that the fastest way to Trump’s heart is through the US Treasury’s bank account, it is preparing to invest an “unprecedented” amount of money in the US. The investment will likely be unveiled as early as next week when Trump is scheduled to visit the kingdom. While it is clear why Saudi Arabia is eager to appease Trump - after all the all important Aramco IPO is coming up, and the Saudis will be eager to open the world’s biggest public offering in history to as many US accounts as possible while doing everything in their power to stay on America’s good side - Bloomberg’s explanation that Riyadh felt “shunned by President Barack Obama, who crafted the 2015 nuclear deal with their Shiite rival Iran” leaves a bit to be desired. After all, Saudi Arabia has consistently been the best customer of the US military-industrial complex for the past decade, and to claim that it had troubled relations with the previous administration is naive at best. What is certain, however, is that Saudi Arabia would have been delighted had Hillary Clinton become president, considering the millions in “donations” the Clinton Foundation received from Saudi Arabia and its peer Gulf states over the years. Meanwhile, the kingdom claimed a “historic turning point” in bilateral relations after President Trump met Saudi Arabia’s Deputy Crown Prince Mohammed bin Salman in the White House earlier this year. On May 19, Trump will make his first foreign trip since taking office, visiting Saudi Arabia and Jerusalem before heading to Europe. Or perhaps it’s not Trump, but rather his son-in-law, that Saudi Arabia is most delighted with. A White House official told Bloomberg that the plans were in the works and that Trump’s son-in-law and senior adviser, Jared Kushner, had played a critical role in the discussions. The Saudi funding may end up an anchor investment in Trump’s massive $1 trillion infrastructure stimulus plan. Trump in March offered his support for developing a new U.S.-Saudi program in energy, industry, infrastructure and technology that could be valued at more than $200 billion in direct and indirect investments within the next four years. The president has said he intends to push for $1 trillion in U.S. infrastructure investments over the next decade, with $200 billion coming from taxpayers and the rest from the private sector. Of course, it would be delightfully ironic if the Saudi billions end up being routed to fund new US shale technology, R&D and/or capex, in the process lowering the cost-curve of US oil producers even more…and further eroding Saudi market share and boosting its budget deficit. This would not be the first time the Saudi Public Investment Fund has made substantial capital allocations abroad: last year, the PIF has funneled about $50 billion of the kingdom’s reserves into investments abroad, almost all of it into technology. It will commit as much as $45 billion to partner with SoftBank Group Corp. to set up a new $100 billion vehicle to invest in global technology. The fund also invested $3.5 billion in Uber Technologies Inc. last June. In the case of the latter, in light of the recent scandals gripping Uber, which may soon lose Europe as a market, it is possible that the Saudi’s top-ticked the valuation of the car-sharing unicorn. Here’s what the media and politicians don’t want you to know about the Manchester, UK, suicide attack: Salman Abedi, the 22 year old who killed nearly two dozen concert-goers in Manchester, UK, was the product of the US and UK overthrow of Gaddafi in Libya and “regime change” policy in Syria. He was a radicalized Libyan whose family fled Gaddafi’s secular Libya, and later he trained to be an armed “rebel” in Syria, fighting for the US and UK “regime change” policy toward the secular Assad government. The suicide attacker was the direct product of US and UK interventions in the greater Middle East. According to the London Telegraph, Abedi, a son of Libyan immigrants living in a radicalized Muslim neighborhood in Manchester had returned to Libya several times after the overthrow of Muamar Gaddafi, most recently just weeks ago. After the US/UK and allied “liberation” of Libya, all manner of previously outlawed and fiercely suppressed radical jihadist groups suddenly found they had free rein to operate in Libya. This is the Libya that Abedi returned to and where he likely prepared for his suicide attack on pop concert attendees. Before the US-led attack on Libya in 2011, there was no al-Qaeda, ISIS, or any other related terrorist organization operating (at least with impunity) on Libyan soil. Gaddafi himself warned Europe in January 2011 that if they overthrew his government the result would be radical Islamist attacks on Europe, but European governments paid no heed to the warnings. Post-Gaddafi Libya became an incubator of Islamist terrorists and terrorism, including prime recruiting ground for extremists to fight jihad in Syria against the also-secular Bashar Assad. In Salman Abedi we have the convergence of both these disastrous US/UK and allied interventions, however: it turns out that not only did Abedi make trips to Libya to radicalize and train for terror, but he also travelled to Syria to become one of the “Syria rebels” fighting on the same side as the US and UK to overthrow the Assad government. Was he perhaps even trained in a CIA program? We don’t know, but it certainly is possible. While the mainstream media and opportunistic politicians will argue that the only solution is more western intervention in the Middle East, the plain truth is that at least partial responsibility for this attack lies at the feet of those who pushed and pursued western intervention in Libya and Syria. There would have been no jihadist training camps in Libya had Gaddafi not been overthrown by the US/UK and allies. There would have been no explosion of ISIS or al-Qaeda in Syria had it not been for the US/UK and allied policy of “regime change” in that country. When thinking about Abedi’s guilt for this heinous act of murder, do not forget those interventionists who lit the fuse that started this conflagration. The guilt rests squarely on their shoulders as well. The kid was fighting with Daesh and al Sham Nusra, groups set up by Jewmerica, the UK and Israhell, and that’s why he attacks his sponsors? Sounds like it could be a replay of the Mossad terrorist Boston Marathon false flag. Peace has begun to reign to the west of Damascus following the military operation that forced terrorists to leave the Wadi Barada valley. The restoration of a peaceful way of life continues there in the cities of Al-Zabadani and Madaya, including the renewal of Orthodox life, reports Russian Spring. This area of Syria is known as Paradise, for the beauty of its nature and climate. According to local legend, it is there that Cain buried his brother Abel after slaying him. These places have been the scene of armed conflicts for six years. Militants of the al-Nusra Front and their allies had established their own rule there. Tens of thousands of peaceful citizens were forced to flee their hometowns. But the irreconcilable militants left from Wadi Barada in March, and from Zabadani and Madaya in April for Idlib. Those who remained behind regularized their status and became ordinary citizens again. After driving the terrorists out, the Syrian army regained control over 80 miles of border with Lebanon, putting an end to drug smuggling there. To date, about 20,000 people have returned to the Paradise area, despite considerable damage. The water and electricity supply has been restored, and the government, the UN, and the Russian Center for Reconciliation of the Warring Parties in Syria have established a supply of food, medicines, and basic necessities. Thanks to the Syrian army’s victory and the expulsion of the Islamic terrorists, the first Divine services in six years were recently celebrated in the Church of the Dormition in the town of Al-Zabadani. Saudi Arabia is founded by the British and now protected by the NATO led by the USA …..Like Israel is. Saudi Arabia is godless and even evil.